Calls are the most effective channel of communication. With the advancement in technology, SMS and social apps have become most the frequently used channels to stay connected. But the importance of calling someone and feeling someone’s presence can’t be overlooked. The thing that restricts us from initiating calls is high rates set by telecom companies. The moment you pick your phone to make a call, first thought that probably strike your mind is how much it costs you. Most people are eager to use a suitable package for making calls or to get free minutes. Call bundles are simple and the most efficient way for customers to communicate efficiently. Network providers have introduced several call packages for their customers. Call packages are introduced on the daily, weekly and monthly basis. People usually do not prefer daily call packages because these offers come with limited time or there is an exemption of some hours. When you are paying for a full day, then you should not compromise on less calling hours or minutes. By keeping the desires of customers in mind, Telenor also introduced Full day call offer for its prepaid customers. This offer brings flexibility to make calls for the full day at low charges. Here is the all essential information regarding Telenor full day call offer. How much does it cost to you?? The offer is a full day, but the charges are less than half. To enjoy free minutes from Telenor to Telenor you have to pay only Rs 13 including tax. No additional or extra charges will be deducted. How to activate the full day offer?? Want to enjoy your conversation to its fullest without stressing about limited minutes or high charges than dial *5*520#. By dialing the activation code, you will get subscribe to Telenor full day call offer and can make calls for 24 hours. You will receive verification message of subscription as well. Free calling minutes from Telenor to Telenor to enjoy free talk time with on-net friends. Access and surf the web for a whole day with 60 data Mbs. What are terms & conditions of the offer? Offer is valid for all prepaid customers who are using price plans or packages. You can subscribe to this offer only once in a day. On consumption of resources, the offer can be subscribed again. Offer will remain valid until midnight of the subscription day. Rs 12.5 + tax will apply as call setup charges on each new call. Different taxes on the regional basis will apply on recharge and other usages. Telenor has the right to change or end the offer any time. 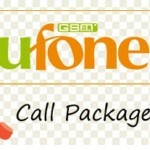 Full day offer is one of the cheapest on-net call packages by Telenor for its prepaid users. Don’t hold up and subscribe to this offer so you can enjoy free talk time with on-net friends for a whole day.